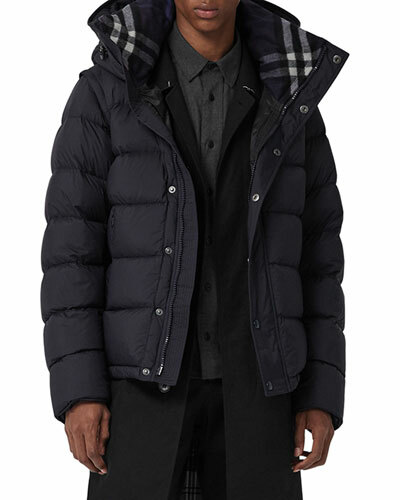 Look chic in men’s quilted jackets from Neiman Marcus. 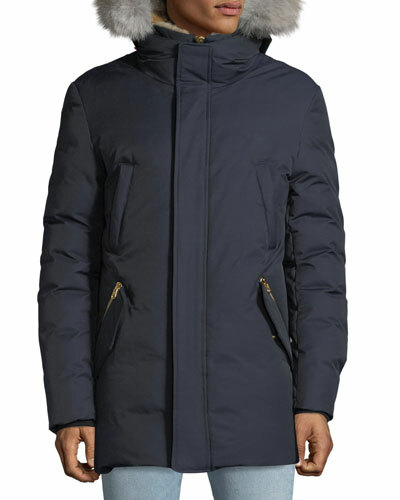 Tailored by top designers, these quilted jackets are the perfect combination of fashion and function. Available in various fits, sizes, and colors, they are versatile additions to your wardrobe. Wear a classic quilted jacket over a pair of jeans and tee to instantly elevate your look. 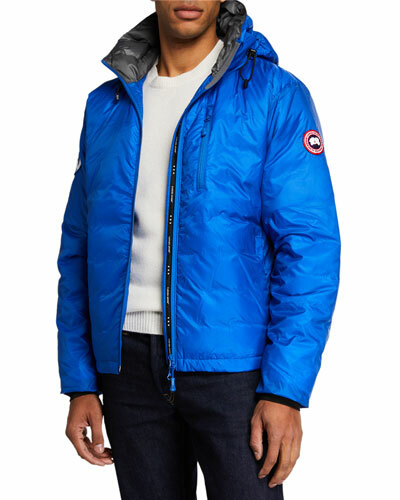 When it is freezing cold, the heavy-duty men’s quilted bomber jackets are great options. 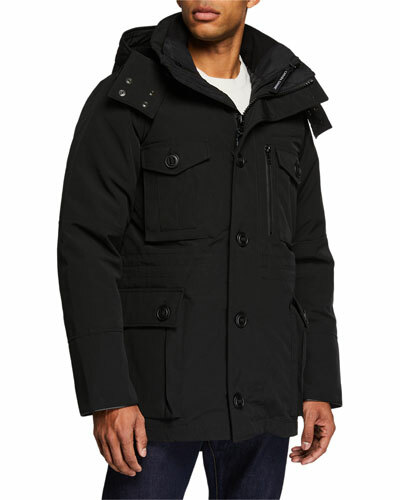 For those windy days, the moto and down jackets with fur trimmed hoods are ideal. Feel cozy in our finely stitched zip-front leather puffer jackets. 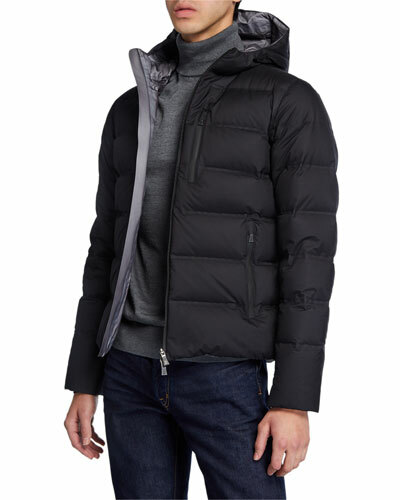 A cold weather staple, our men’s puffer vests in plush fabrics are undeniably stylish. No matter what your style preference is, you’ll certainly find our designer quilted jackets and puffer vests sophisticated and striking. 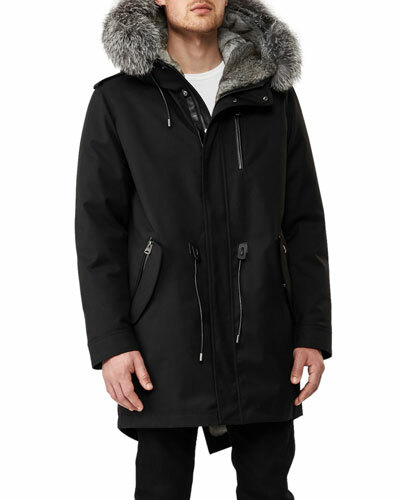 Shop Neiman Marcus for men’s outerwear in timeless and contemporary designs. Brunello Cucinelli outerwear coat in cashmere detail. Oversized notched lapel; three-button front. Concealed interior two-way zip knit bib. Side patch pockets; chest welt pocket. Long sleeves. Cuffs with four-button detail. Double-vented back. Cashmere/silk. Made in Italy. Model's measurements: Height, 6'1"/185cm, waist 30"/76cm, suit 38R, shirt 14.5x34, inseam 34"/86cm. 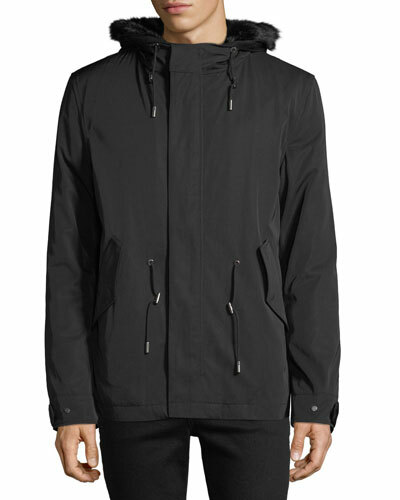 Corneliani topcoat with water-resistant and wind-resistant Storm System® finish. Notched collar; three button front. Grip-strap tab-adjustable cuffs. Welt pocket at chest. Right side zip pocket. Side flap pockets. Slim, straight fit. Wool/polyester. Made in Italy. Model's measurements: Height, 6'1"/185cm, waist 31"/79cm, suit 40, shirt 15.5x35, inseam 32"/81cm.